ForexLive Asia FX news wrap: Yen up, risk up! 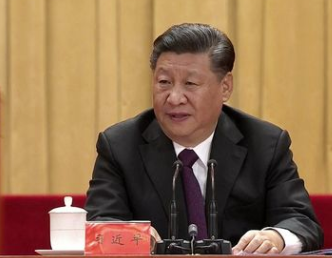 China President Xi comments on economy - unswerving support! NZ business confidence survey showed improvement. But wait 'til they get this memo …. Chinese stock markets awaited President Xi's speech by trading positively early. Overnight US equity index futures also (re)opened better bid. But, I am getting ahead of myself. In currencies, NZD/USD got an early boost from an improved business confidence data point, the ANZ Business Outlook Survey. 'Activity' also improved and although the details from the results were not across the board healthy there were enough positives to provide the currency with a boost. A little later we got RBA minutes (December meeting) that had little initial impact on the AUD. The minutes confirm the RBA is getting a little more cautious, but not enough to switch to a neutral bias for policy, they still see the next move as a hike though not soon. The AUD did trade higher eventually, but not as strong on the session as the kiwi. The speech from China President Xi came along, but there was not too much in it. It was viewed as a little disappointing with nothing specific on US trade issues. Stocks gave back a little, as did the AUD (NZD, the beast, maintained its highs). At one stage Xi said China may face unimaginable difficulties, not overly warm and comforting that comment. While Xi was speaking there were remarks from an interview reported by Bank of Canada Governor Poloz. They were on the hawkish side and helped the CAD to add a few points on the session. The yen carried on its gains it began during the Europe session on Monday, trading under 112.50 at one stage (briefly). This despite the Japanese government lowering projections for GDP and CPI (and more) that suggest any change to change to loose BOJ policy will not be soon (the BOJ meet later this week).